a core value of scientific practice. 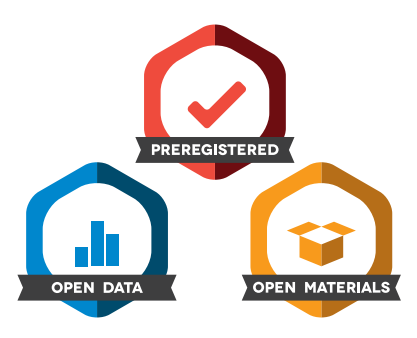 What are Open Science Badges? Badges to acknowledge open science practices are incentives for researchers to share data, materials, or to preregister. Badges signal to the reader that the content has been made available and certify its accessibility in a persistent location. Badges seem silly. Do they work? Yes. Implementing these badges dramatically increases the rate of data sharing (Kidwell et al, 2016). A recent systematic review identified this badging program as the only evidence-based incentive program that is associated with increased data sharing (Rowhani-Farid et al., 2017). 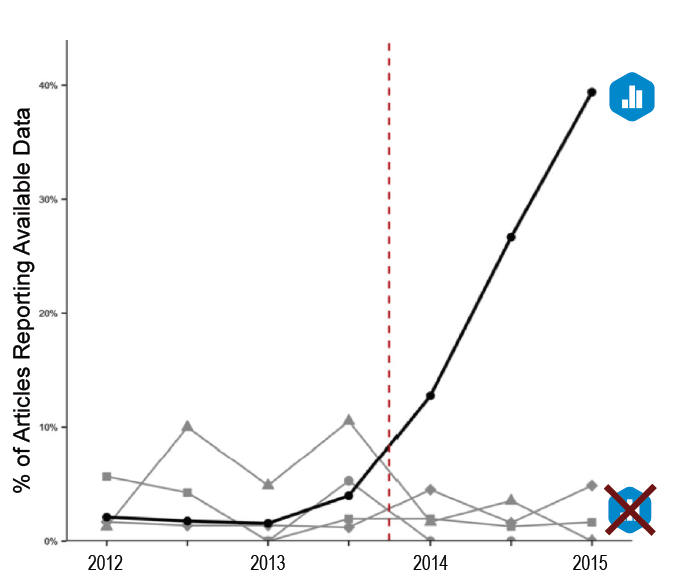 Currently, 53 journals offer Open Science Badges to signal and reward when underlying data, materials, or preregistrations are available, see below. Alright, I'm on board. What are the next steps? Each journal may choose to award badges based on a simple author disclosure statement or through independent peer review. We offer examples of how to display badges on publications. As long as the badge image and disclosure statement are presented, you can display them any way you like.